Ageless Aesthetics can help you restore youthful fullness to your face, enjoy plump lips, enhance shallow contours or soften those facial creases and wrinkles, with dermal fillers. Dermal fillers have been called “liquid facelifts” because they offer many of the benefits of a surgical facelift without the downtime. Our cosmetic dermal fillers are injected into the skin to improve texture, volume and appearance. They can also smooth wrinkles caused by the natural aging process. Treatments can last anywhere from 4 to 18 months, depending on the type of dermal filler used and the severity of the wrinkles. If you are interested in learning more about the prices of dermal fillers at our office, contact us. The cost of dermal fillers varies greatly among patients. 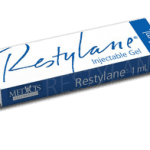 While a syringe of Restylane® or Juvederm® often has a fixed price, the individual price for each patient depends on the number of targeted areas of the face, the severity of the wrinkles and the number of treatments required to achieve desired results. We also run specials often, join our email list or a text list to stay informed. Before your cosmetic dermal filler treatment at our facility, make sure you read the patient information about Juvederm® or Restylane® and talk to your doctor about any questions or concerns you might have. Because Juvederm® and Restylane® are hypoallergenic, you will not need to undergo any allergy testing before your dermal-filler treatment. However, you should stop taking any medications that encourage bleeding, such as aspirin or ibuprofen. 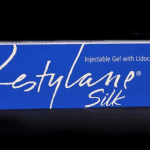 After Restylane® or Juvederm®, you may experience redness, swelling or bruising at the site of injection. These dermal filler side effects shouldn’t last more than two days. If they persist, call our office immediately. Avoid alcohol consumption and excessive sun exposure for 48 hours. The effects of Juvederm® or Restylane® should be apparent immediately, but full results may take up to two days. Is Collagen a dermal filler? Although collagen may the most well known for filling facial wrinkles, and the original solution for treatment, anti aging medicine has progressed forwards and doctors have far more superior methods doctors can use. Collagen forms a network of fibers within your skin, its the main component in connective tissues that gives it strength. In youth collagen keeps skin remains moisturized and elastic. However, as we age collagen decreases and our tissue weakens and the skin loses its elasticity. Science has advanced forward in the aesthetics field where dermal fillers or PRP treatments are preferred over collagen treatments. The older forms of collagen do not last as long as the newer formulations of hyaluronic acid fillers like Juvederm and Resylane. Collagen works by plumping in the skin while the dermal fillers work by not only plumping the skin but also trapping water in the large molecules. A dermal filler injection at our facility will typically last only 30 minutes and you may return to your normal routine immediately. If you are interested in learning more about dermal fillers, call us at 478-333-2595 or request a free consultation. Learn more about Juvederm and Restylane.